We want to help you make awesome Minecraft content! Nice to meet you, we're CubeCraft! We produce some of the best Minecraft content in the world. Over the last year we have been working on improving our offering for Content Creators and we're finally ready to reveal it to you. 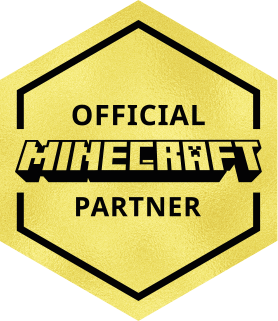 Introducing CubeCraft Partners. CubeCraft has millions of players globally all wanting to play the latest high quality Minecraft mini-games but they also want to see Content Creators playing them. Our goal is to continuously create both exciting new games maps and more as well as provide updates to our most popular games. Content Creators in the past have produced successful series with over a hundred episodes on our games. We want to provide support to you to do the same. Here are a few interesting numbers to give you a test of what we offer. In general we're looking for content creators that are interested in making great content that we can help support. If you think you are the right fit for us have a look at the requirements below. It's important to note that just because you don't meet every criteria in the list doesn't mean that we won't look at your application. We list these as a general guideline to help people see what we're looking for. If you meet these guidelines, fantastic! However this does not guarantee that you will be granted the rank. Sometimes we just don't think that an applicant is a good fit for our community. Becoming a partner is a two way street. We expect great things of you, it's only fair we provide something in return. Below are just some of what we offer to our partners. For those times when you want to be extra stealthy use /nick to change your name across the network. We want to help you show our best features so we give you them all. From voting options to kits and a lot of other things. We organise closed pre-views of our upcoming games. Content Partners will get an invite to these allowing you to get your content out as soon as it's relevant. Sometimes you just need a person to ping about an issue. We'll give you contact with our team so we can help you where possible. We love giving back to the community. If you have an awesome idea for a giveaway you can ask us for ranks or merch. There's lots more in the works. We look forward to sharing it with all our partners. We already have over a hundred partners and we look forward to adding you! Your real name so we know what to call you! This should be an email you check regularly, we'll use it to send you updates and invites to special events. Obviously we need the name you play with! Where do you make content? Click on the platform you make content on the most. Whoops! This isn't a valid YouTube Channel URL. Let us know where we can find your content. What language do you make content in?